Octo-Mom has a new reason to celebrate the New Year. 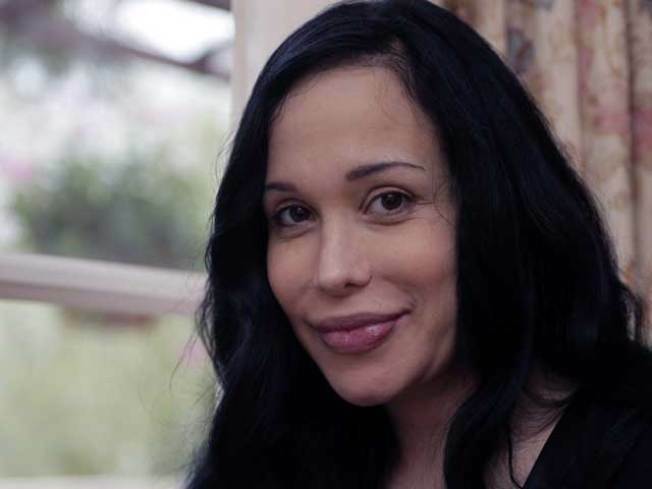 Nadya Suleman, the controversial mother of 14 children including a set of octuplets, won big Friday evening as a Calif. appeals court ruled in her favor and denied a call for an independent guardian to monitor her children's finances. Suleman's family bank accounts will be kept under wraps, the Associated Press reported the 4th District Court of Appeal in Santa Ana ruled Friday. A petition to launch an investigation into how "Octo-Mom" paid for her children's welfare was denied by the court, who called the move an "unprecendented, meritless effort by a stranger." The motion was brought forward by Paul Petersen, a child advocate who specializes in the entertainment industry. Petersen argued in court that Suleman's kids were vulnerable due to media attention and that an independent guardian should be appointed to keep track of their cash. Suleman notoriously gave birth to octuplets last January, adding the eight children to her brood of six. It was eventually revealed Suleman had been paying for her six kids' welfare with food stamps and Social Security disability payments, prompting an investigation into how Suleman had spent the government cash.